Most holy and afflicted Virgin, Queen of Martyrs, you stood beneath the cross, witnessing the agony of your dying son. Look with a mother’s tenderness and pity on me, who kneel before you. 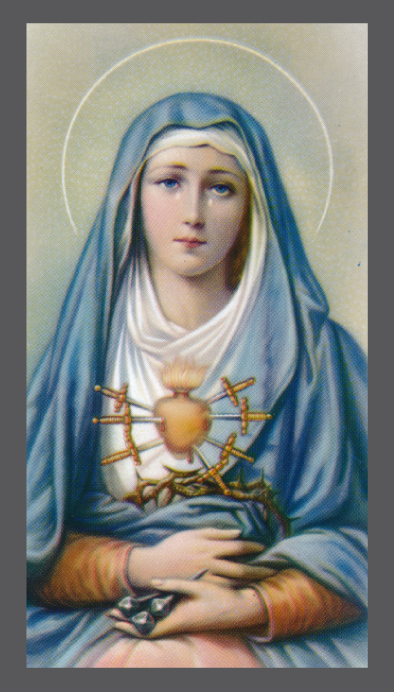 I venerate your sorrows and I place my requests with filial confidence in the sanctuary of your wounded heart. Present them, I beseech you, on my behalf to Jesus Christ, through the merits of his own most sacred passion and death, together with your sufferings at the foot of the cross. Through the united efficacy of both, obtain the granting of my petition. To whom shall I have recourse in my wants and miseries if not to you, Mother of Mercy? You have drunk so deeply of the chalice of your son, you can compassionate our sorrows. Holy Mary, your soul was pierced by a sword of sorrow at the sight of the passion of your divine son. Intercede for me and obtain from Jesus (mention your request) if it be for his honor and glory and for my good. Amen. Skull: contemplative, the sign of one who knows that this life is temporary. 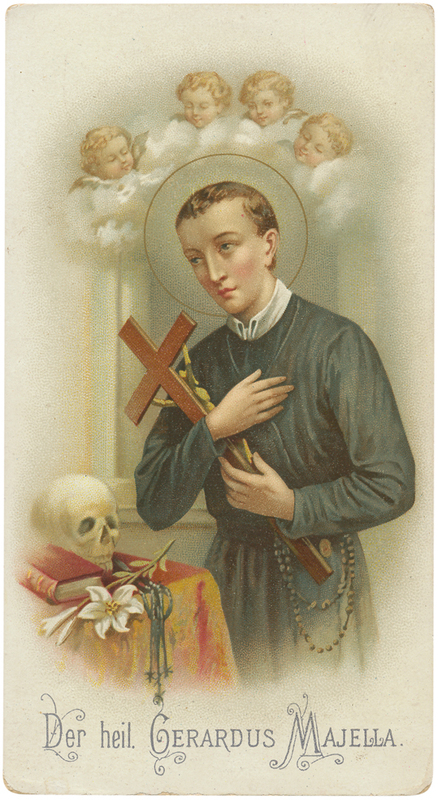 O good St Gerard, powerful intercessor before God and wonder worker of our day, confidently I call upon you and seek your aid. On Earth you always fulfilled God’s designs, help me now to do the holy will of God. Implore the Master of Life, from whom all paternity proceeds, to render me fruitful in offspring, that I may raise up children to God in this life, and in the world to come, heirs to the Kingdom of His Glory. Amen.